Students in The Business of Esports class hear from Brian Matvey, event coordinator for Major League Gaming. Matvey has helped operate and produce more than 60 major eSports events. As chair of the Visit Pittsburgh esports Task Force, Rowland School of Business Dean Steve Tanzilli, J.D., is helping to grow the esports industry in the region — putting Point Park University at the forefront. According to Tanzilli, the goals of the Pittsburgh esports Task Force are to increase awareness and understanding of the $1.5 billion industry of esports, educate students on the skill sets they need to be successful in the business and host a national esports event in Pittsburgh during spring 2019. New this semester, Point Park University is one of the only universities in the region to offer a class focused on the business side of gaming. 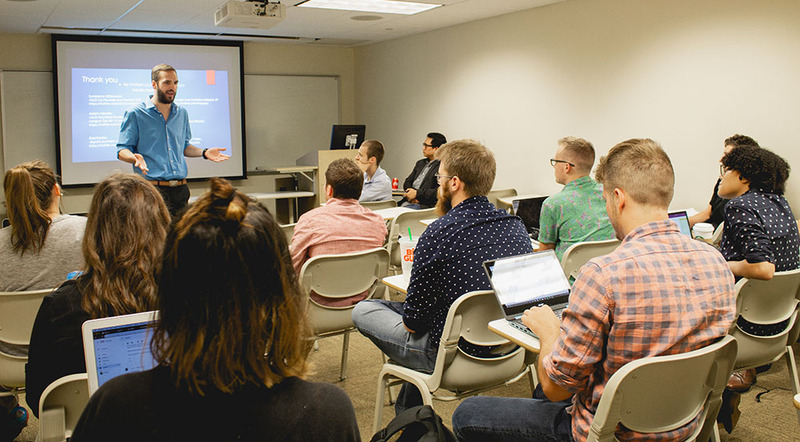 In the Business of esports course, Instructor Charles Berry, J.D., owner and attorney of Charles Berry Consulting, teaches students about the marketing, promotions and legal issues specific to the field and will be giving them the opportunity to host an esports event on campus in November. “esports is an industry on the cusp of being really impactful. We hear quite a bit that there is a real need in this industry for professionals who have event management and business skills. Students need to know how to represent professional esports athletes, as well as host esports events and successfully market and promote them,” Tanzilli explained. “Our focus at Point Park and in the Rowland School of Business is always to provide our students with the innovative, practical hands-on skill sets they need to be employable,” he added. 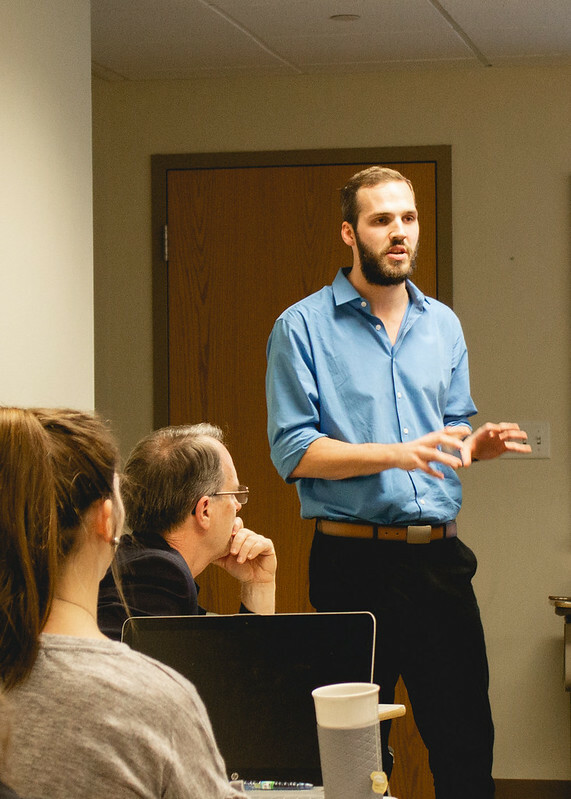 Tanzilli’s additional future plans to expand esports at Point Park include creating an interdisciplinary certificate and the establishment of an esports team managed by the Rowland School of Business. Jillian Svonavec, a junior sports, arts and entertainment management major from Somerset, Pa., chose to take the esports course to learn the business side of the industry and to stay on top of trends in the field. “I have learned that esports tournaments, games and competitions must be treated like any other sports event. This is a rapidly changing field and having knowledge about the business side is highly beneficial. My career goal is to work in event operations or facility management so I am going to need this information to succeed in running a facility that could host an esports event,” Svonavec said. Senior SAEM transfer student Matthew Whitaker, from Hazard, Ky., grew up playing video games and was interested in learning more about the history of esports. “Once esports started blowing up here in the states, I became very interested in how this industry works. The Business of esports class has really peaked my interest even more and my desire to pursue a career within this industry. The experience this class is giving me in terms of putting together an esports event will be vital for my career opportunities as I move forward after graduation,” Whitaker said. To learn more about the esports industry, read the Pittsburgh Post-Gazette article “Pittsburgh Knights to compete in world esports tournament,” which includes an interview with Tanzilli.